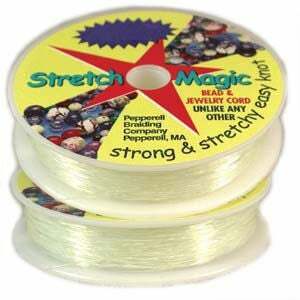 Characteristics: Strong, durable, non fraying stretch cord. Perfect for making jewelry easy to put on and remove. very fast shipping and exactly what I needed! Just what I wanted! Well-pkgd., super-fast shipping. 5 stars! Very stretchy, couldn’t break by hand. Follow directions for knotting & gluing.